唐修检. 田欣利. 吴志远.等工程陶瓷边缘碎裂行为与机理研究进展[J]. 中国机械工程,2010, 21(1): 114-119. 赵明利,赵波,王裕清. 超声磨削工程陶瓷边界损伤试验研究[J]. 金刚石与磨料磨具工程,2010, 30(04): 67-70. 黄吉东,王龙山,李国发,等基于最小二乘支持向量机的外圆磨削表面粗糙度预测系统[J]. 光学精密工程, 2010, 18(11): 2407-2412. PANDIYANV, CAESERENDRAW, TJAHJOWIDODOT, et al. In-process tool condition monitoring in compliant abrasive belt grinding process using support vector machine and genetic algorithm[J]. Journal of Manufacturing Processes, 2018, 31:199-213. YANGG M, ZHANGY P, LIK Y, et al. A processing predictive model of ultrasonic vibration grinding assisted electric discharge machining based on support vector machines[J]. Advanced Materials Research, 2014, 941-944: 1928-1931. SMISTG F,JORDAANE M. IMPROVED SVM regression using mixtures of kernels[C]// International Joint Conference on Neural Networks. IEEE Xplore, 2002: 2785-2790. PANDIYAN V, CAESERENDRA W, TJAHJOWIDODO T, et al. In-process tool condition monitoring in compliant abrasive belt grinding process using support vector machine and genetic algorithm[J]. Journal of Manufacturing Processes, 2018, 31:199-213. YANG G M, ZHANG Y P, LI K Y, et al. A processing predictive model of ultrasonic vibration grinding assisted electric discharge machining based on support vector machines[J]. Advanced Materials Research, 2014, 941-944: 1928-1931. SMIST G F,JORDAAN E M. IMPROVED SVM regression using mixtures of kernels[C]// International Joint Conference on Neural Networks. IEEE Xplore, 2002: 2785-2790. 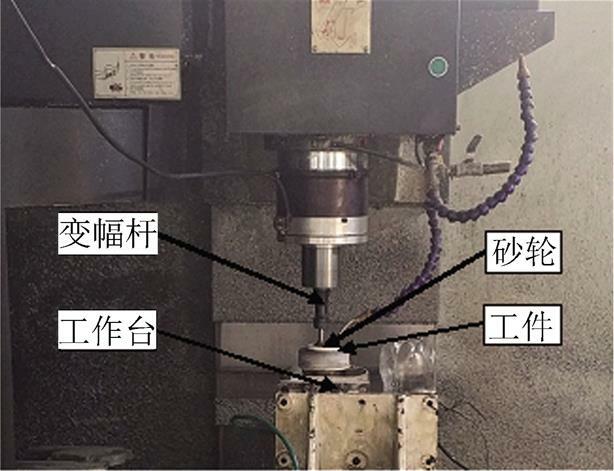 ZHAO Mingli,LI Bohan,NIE Lixin,et al.AHPSO-SVM Prediction of Boundary Damage of Ultrasonic Internal Grinding of ZTA Ceramics[J].Aerospace Materials & Technology,2019,49(02):72-76.